When you have hardwood floors in your home, you want them to look their best. Cleaning hardwood floors isn’t difficult, but it is important that you use the right products and the right techniques to avoid damaging your floors. 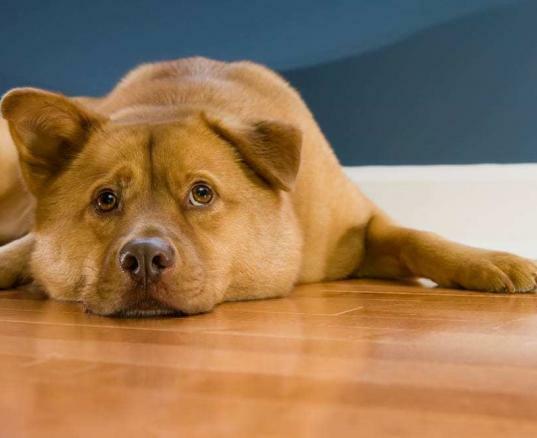 To help you keep your house spick-and-span, ReallyCheapFloors.com is sharing the best way to clean hardwood floors. 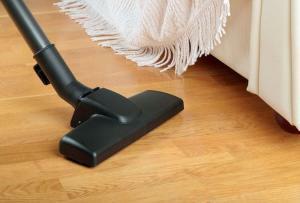 In order to clean your floors, you’ll first need to clear all of your furniture out of the way. We recommend investing in some furniture pads to make rearranging your living room easy. In case you’re not familiar with the term, “furniture pads” are blankets or padding that you can put under your furniture to prevent scratches or dents during the moving process. Without these pads, you will likely need at least a few friends or family members to help you carefully move your furnishings. Once your furniture is out of the way, it’s time to remove the dirt, dust, and debris from your floors. Either a dry mop or a vacuum cleaner will get the job done. Be sure to sweep or vacuum the whole room, covering all of the crevices in the floor. If you use a vacuum, don’t use the beater bar attachment, as this can damage the wood. We do not suggest using any oils or sprays since these products make the floor slippery. Dirt and hardwood floors do not mix well. 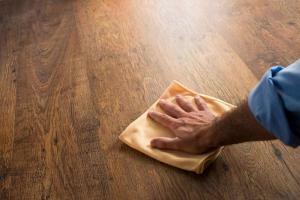 Even a few grains of dirt can cause scratches and make floors look dull. To combat the effects of dirt, we recommend sweeping or vacuuming at least once a week. In order to prevent dirt from reaching your floors in the first place, put doormats or floor mats at all of the entrances to your hardwood floors. After you’ve finished sweeping or vacuuming, you can start to mop your floors. The best way to clean hardwood floors is with a solution made from a gallon of water with just a little bit of dishwashing detergent. When you dip your mop in the cleaning solution, wring it out until it is just damp, not soaking wet. Try to mop along the grain of the floor, using smooth strokes. Never use a steam mop on hardwood floors. Please note that the above mopping directions are just for surface-sealed floors (urethane, polyurethane, or polyacrylic), as these floors are resistant to water damage. If you have lacquered, shellacked, varnished, oil-treated, penetrating-seal treated, or untreated floors, do not clean them with a damp mop! Using water on these floors can cause buckling. Instead, just sweep or vacuum them on a regular basis. Once or twice a year, you will also want to strip the old wax from the floors and apply a fresh coat. When your floors have been mopped, you can finish up with some buffing. Take a soft cloth and use it to remove any remaining soapy residue. Cloth diapers work well for buffing since they are very soft and absorbent. After all of this cleaning, your floors should be looking good as new. If, however, your floors are in really bad shape, you may want to call in a professional to sand and refinish your hardwood floors. Now that you know the best way to clean hardwood floors, you’re ready to have some in your home! ReallyCheapFloors.com is your source for discounted, overstock, and seconds in hardwood flooring. We offer the best prices for prefinished and engineered hardwood to customers all around the United States. Browse our selection of hardwood floors today!